Indonesia seeds market has huge potential to flourish in Indonesia for the reason that the government is focused on self-sufficiency campaigns that will induce the growth in production of grains and other agriculture produce in order to limit the imports. Indonesia has large production and large consumers for rice that accounted for around 70% of total agriculture production in 2017. Moreover, a deal for potato seeds with Australia in early 2018 are expected to open up export opportunities for Indonesia potato farmers to Thailand and Vietnam. Indonesia is also the largest palm producer, and the government initiatives to surge rice production and supply of free/low cost seeds to the farmers, Indonesia seeds market is expected to grow over the forecast period. Goldstein research analyst forecast the Indonesia seeds market size is set to reach USD 2.83 billion by 2025, growing at a CAGR of 10.1% over the forecast period. Based on oil seed type, Grain seeds accounted for largest market share of 23.8% in 2017. Indonesia government is set to increase the staple crop production such as rice, wheat and corn thus impacting the growth in demand for seeds. The report covers the present ground scenario and the future growth prospects of the Seeds market for 2017-2025 along with the market players’ analysis. We calculated the market size and revenue share on the basis of revenue generated from major players in the Indonesia region. Indonesia Seeds market is forecasted on the basis of seeds production and seeds supply and agricultural produce. Indonesia Seeds Market Outlook 2017-2025, has been prepared based on an in-depth market analysis from industry experts. 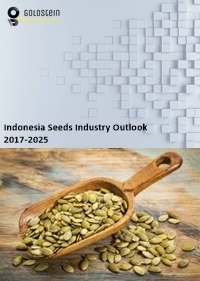 The report covers the competitive landscape and current position of major players in the Indonesia Seeds market space. The report also includes porter’s five force model, SWOT analysis, company profiling, business strategies of market players and their business models. “Indonesia Seeds Market Report” also recognizes value chain analysis to understand the cost differentiation, pricing models to provide competitive advantage to the existing and new entry players. Our Indonesia Seeds Market Report comprises of the following companies as the key players: PT Bisi International, PT DuPont Indonesia, Syngenta, Monsanto, Advanta Seeds, Namdhari Seeds, PT Koreana Seeds Indonesia, Takii Indonesia, Bayer CropScience.